The SMOK MAG 225W TC Starter Kit features a large HD color screen. 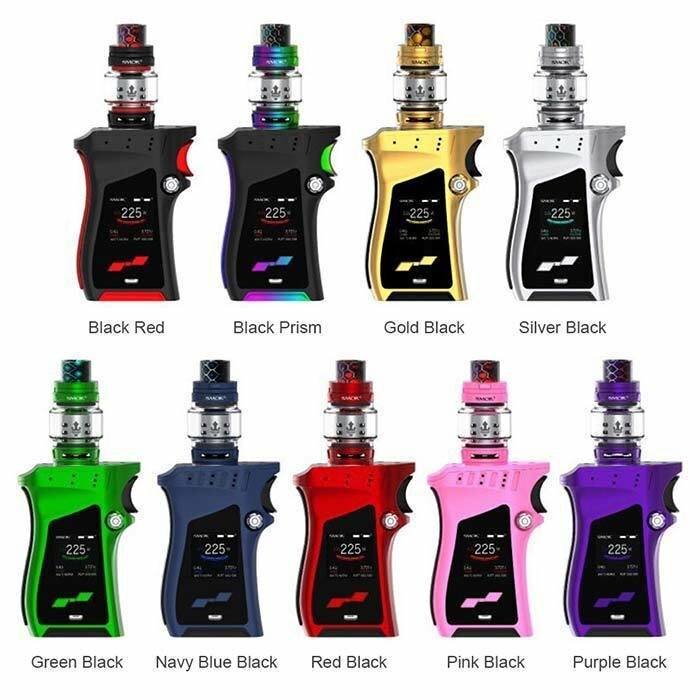 The kit includes the SMOK MAG box mod and the TFV12 Prince Tank. The MAG is powered by dual 18650 batteries and the maximum output it can reach is 225W. The TFV12 Prince Tank has an e-juice capacity of 8mL, an adjustable airflow system, and adopts the newest coils for huge cloud and extremely dense flavor.